Congratulations greyman and to all the contributors. All I can say is WOW..... Hands down one of my favorite missions of all in TDM. Loved the story telling and atmosphere. A most excellent 3rd installment. I've been off for a while since the standalone TDM was to much for my old NB. And to return to it by playing WS II and then this one was simply rejoicing. These missions are probably going to be my favourite!!! Roofs in one (and without coughing my machine to death) and nice variability of environment in the other + great story overlapping missions + bonus for those who want to finish everything + challenging parts + the length of missions + much more!!! Looking forward to play your next FM! visit the Records Room and read the Cleighmoor History book. I don't think you (or I) can change a vote once it's cast. Thanks, that was worth it! Fantastic mission. I've been playing darkmod for a while but just got posting permissions, and figured I should review my most recently played maps. I'm a fan of WS1 & WS2. WS1 I felt was very strong but not incredible, WS2 had fantastic atmosphere, aesthetics and intrigue. Cleighmoor is perhaps the least visually "exciting" of the three (while still very accomplished and solid visually) but it plays the best. I never thought I would enjoy a sewer section in a video game EVER, until now. Starting us right off with a great challenge and some secrets. Getting up to the compound itself, discovering the optional objectives (but really, what seasoned player sees them as optional and not mandatory? ), and following the breadcrumb trail felt great. What I like is that everything is sensibly designed and placed so that without any needle-in-a-haystack searching, you can use your brain to figure out where to go and how to do things. Even then it surprises you with multiple routes, dream sequences and character revelations - a small and self-contained place that seemingly expands itself as you play. It's a great balance of realistic design and gameplay design. Lots of nice touches too, like taking the key to the prison cells, the guard noticing that it's gone, and running to the door that it unlocks to check up on things. Or the guard freaking out when he sees the Well door open, rather than just saying "that should be closed", because that's a high security door. Logical simulations that make things feel alive (really a strength of this series). The ending zone (city streets) isn't fully modeled/mapped. Even though it fades to black soon after you step onto the streets, you can still look around and see big holes that are open to the skybox. This should be detailed in such a way that you can look around and get at least a slight impression of the city expanding beyond that point. Also, in the dream sequence, I like others was a bit confused trying to pick up the wrong map... I shrugged it off because I had already picked something up, and it happened to be the right thing, but since you cannot look at your inventory during that sequence, there really should only be one map on the table to keep things clear for players. Just a slight gameplay tweak. All in all a fantastic mission, great work. Ready to tackle the warrens. Edited by southquarter22, 21 March 2014 - 01:28 PM. I've noted your suggestions in my punch list for the next iteration. Thanks. Got several mission fails when some unknown NPC dies. Thought it might be the guard by the well drowning, but the amount of damage shown in the console makes that somewhat unlikely. And minor stuff: out of bounds from the balcony and this very obvious invisible barrier (here I tried to measure the depth with a candle). I've just finished this mission, congratulation again for this release, you've maid my day. Sewers, compound, history, everything is good and the well part, oh my, what a gOOd surprise ! The ambient sounds are nice too, i love the owl hoot. You know hearing is the most immersive sense, right ? ps : i was boring to play at Thi4f, decided to play at TDM, begun to play WS1...and couldn't stop until WS3. Glad you enjoyed these. Five more planned. Lots of other good missions await you, too. Can't figure it out. They don't occur after I have interacted with a guard, but at seeming random spots somewhat later. Is there a specific number of guards you wap on the head or hit with a gas arrow that can't be surpassed before the aggregate damage dealt indicates a death? I'll admit to not being good enough to ghost this one. I have no idea which guard is causing the problem. This never came up in my testing, and I think I put the script in after beta testing was over, so it made it into the wild. 2.02 will have a new function scripts can call to check whether a death is something the player had a hand in. Unfortunately, that wasn't available in 2.01. I've put the mysterious death on my todo list for the next revision of Cleighmoor. Perhaps I'll release that after 2.02 comes out, to stop the death from aborting the mission. And, to answer your question, there's no aggregate damage across guards that's surpassing some limit. This is a case of a guard who's off doing his own thing and wanders off course and falls off a ledge, going by the amount of damage that's been reported. Gotcha - I appreciate the explanation grayman. I thought I was being to rough on them I'll wait until the revision comes out to finish, I've restarted the mission about 1/2 dozen times and seem to encounter the issue about 2/3rds of the way through. The Wm Steeles have been my favorites and I'm looking forward to seeing what you come up with for the next 5. Uhh, there was no need to restart for me. I was able to just load a quicksave and continue on, these random deaths didn't happen at some defined moment. Which, btw, suggests that it probably isn't a pathing issue, at least if you don't disturb their default patterns (I mostly ghosted). Me too. After encountering that random AI death bug I just reloaded my quicksave and played from there to the end. It occurred when I was in the kitchen so yeah, about 2/3rds of the way through as I posted earlier. Edited by Lux, 03 April 2014 - 03:39 AM. Hmm...Initially I did try loading the most recent quick save, but unfortunately the mission would still fail - even when I tried doing different things than the attempt prior. I even tried creating regular saves at different points with the same result. That got me scratching my head. I can ghost some spots, no where near enough. I can't seem to avoid having to knock some down here and there. I believe I found the issue with guards getting mysteriously killed. It's from certain lenient settings I placed on half of them. I'll be releasing new versions of WS2 and WS3 after TDM 2.02 is released, so the mysterious deaths should go away. And maybe WS1 if there's enough time. 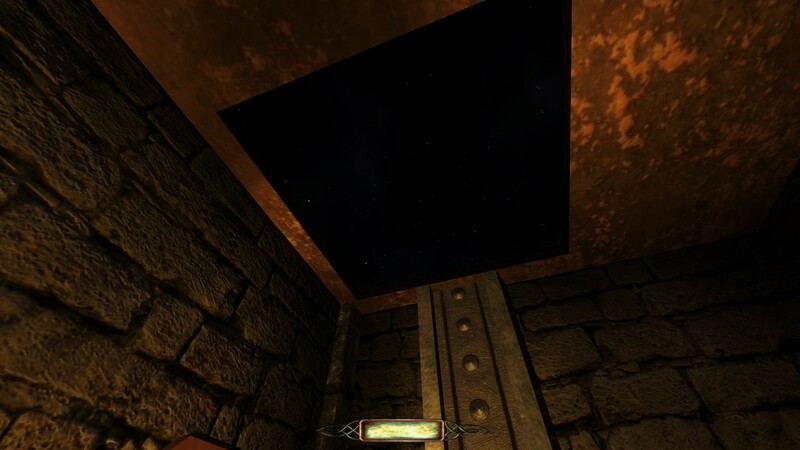 the secret room in the office of Warden Fielder: Also happens in the other direction, when you use the elevator down, it shows the "void". that I couldn´t find. Just asking if those are really in the mission so I might not miss on something story based. The letter from the bank to Warden Fielder about foreclosing on his house is in the Warden's secret room. Mackie's note is in your inventory when you start the mission. Steele took this letter from the Watch station in Home Again. It serves as a reminder to seek out the archaeological dig in the sewer. I think these are the readables you're referring to. Glad you're enjoying the series. Thanks! Ah. The notes you refer to are from an earlier version of Cleighmoor, and the readables don't appear in the final version. The Mackie note was pinned to his front door with a dagger. The Fielder note was posted around town on billboards. Since I don't want to lose the work that went into the portions of Cleighmoor that didn't make the final cut, you will see these readables in the future, in a different mission. I neglected to rid the xdata file of text that was no longer being used.